How to stop the board from touching the back wheels of the bike? If the board nose starts to slip down the mesh then the board could touch the back wheel of the bike. The cause of this is slack in the line between the buckle at the "Y" and the locking tab. The tab and the buckle should be about 8 inches apart (14cm). And the webbing pulled tight. This will lock the board in place. 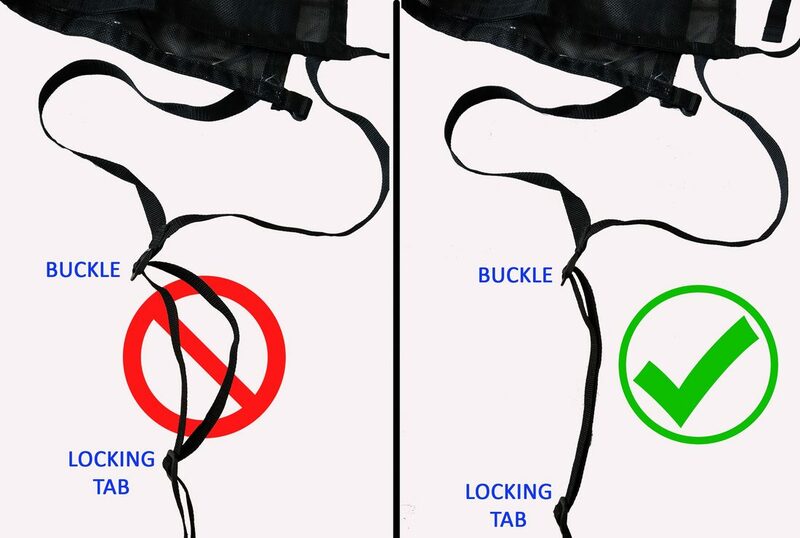 ​Extra hold can be achieved by wrapping the extra webbing around the lock tab and tie a knot. This is good for extra really long bike rides. If the unit is not pulled tight into the frame by the webbing this may cause your wheel not to stay straight and touch your board. 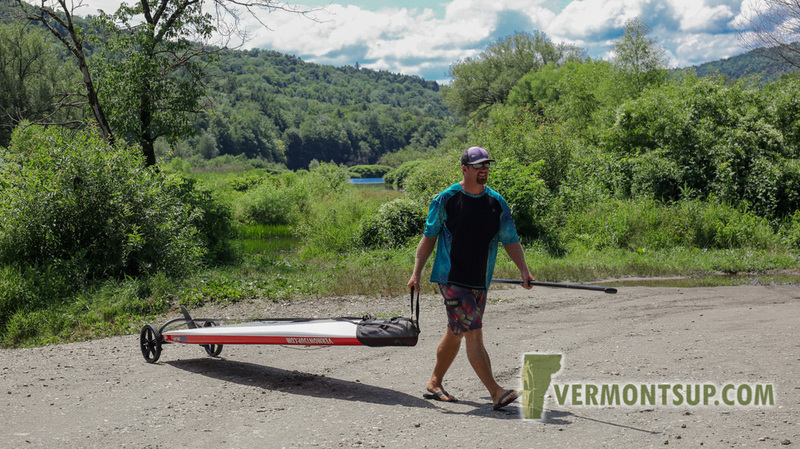 ​Transporting your paddleboard is and important part of paddling. It’s not just strapping into your car and driving to a local river or surf spot but also how you carry it once you get there. 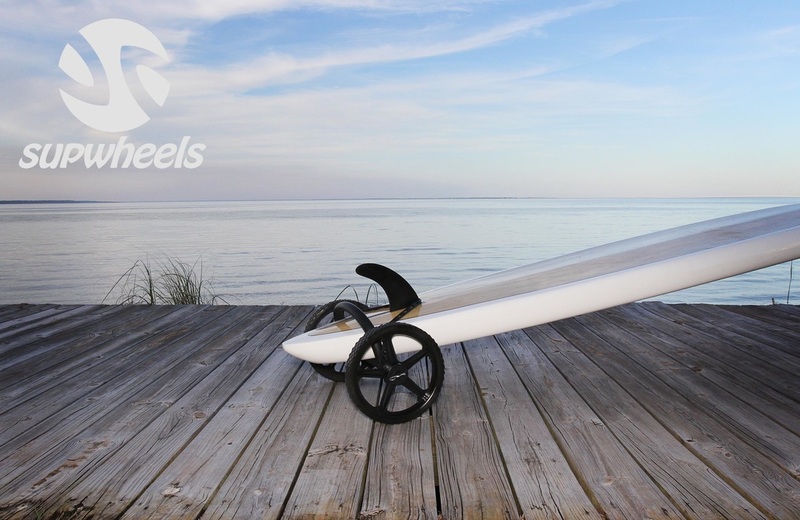 SUP Wheels has a great solution for moving your board on location once it’s off the car. 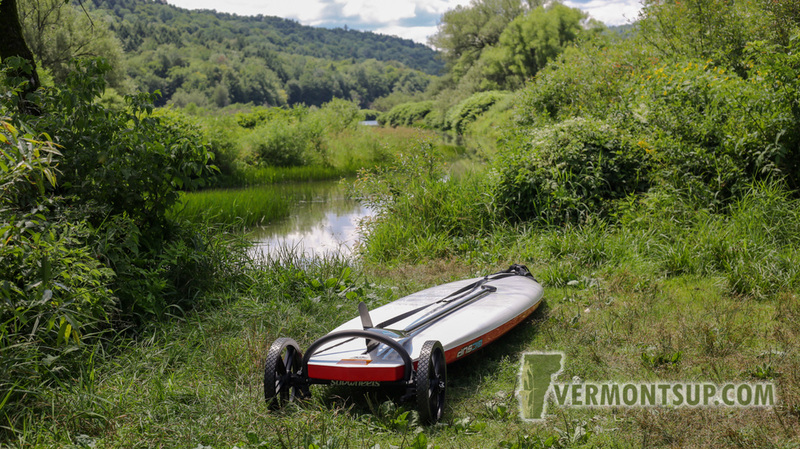 The SUP Wheels EVOLUTION allows you to pull your paddleboard as you walk or bike to your desired secret spot. 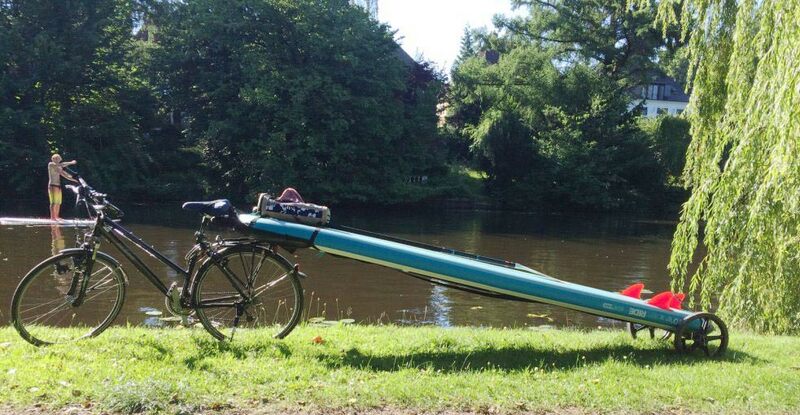 It makes it easy to move a big bulky paddleboard without having to be physically strong to muscle it to the beach or river. 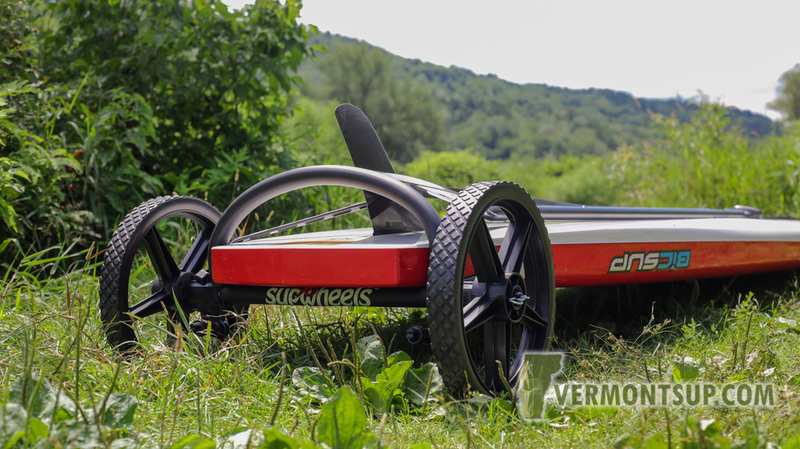 It’s large heavy duty plastic wheels and sturdy cross axle makes it strong and easy to roll over bumps, curbs for maybe your best friend taking a nap on the side of the trail. This is a perfect item to keep in your car and use as needed depending on the paddling location. It folds down to store relatively flat in your trunk or closet. 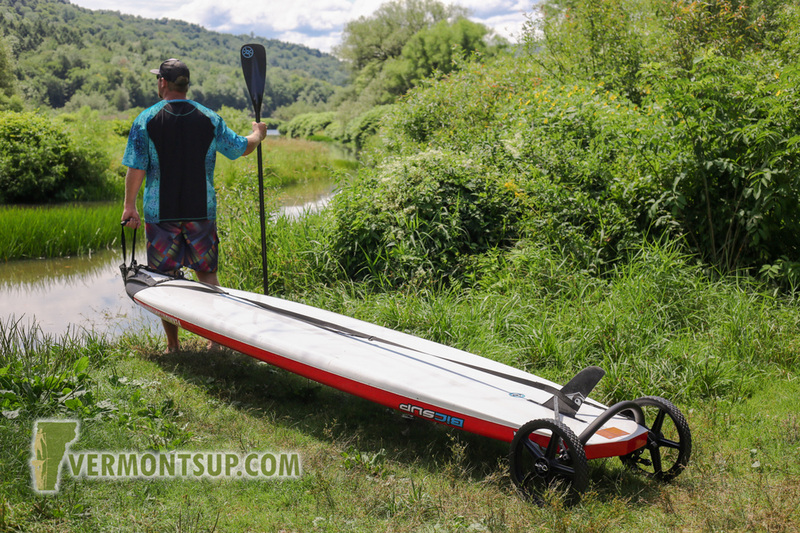 See what The SUP Board Guide had to say about SUP Wheels board carry and there test with an inflatable paddle board. 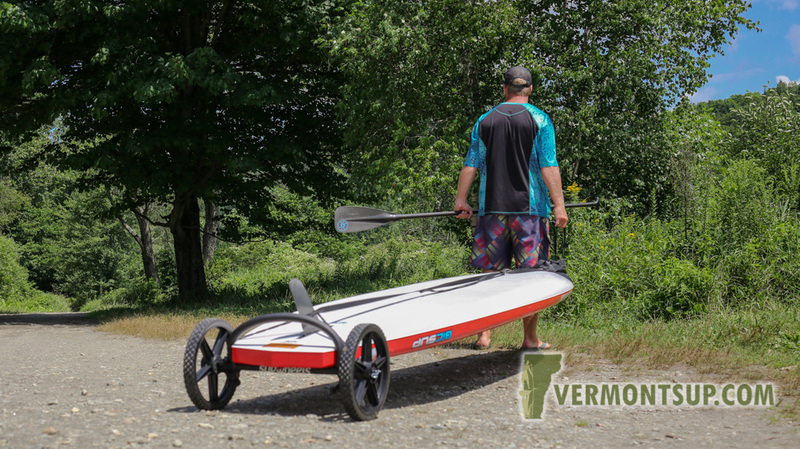 SUP Wheels product review. Silent And StrongYou probably have heard the phrase, “He’s the strong, silent type.” That’s a perfect description of the SUPWheels. Crafted from top quality materials, the product feels very much like a labour of love. It showed from the first second I used the product. It runs smooth and quiet, even on bumpy roads; which did surprise me, as I was expecting it to be a bit shaky. There was nothing of that. Easy To Use Assembling the product is done in seconds. All you need to do is attach the wheels and adjust the straps to the correct size of your board. By the time you say ‘SUP Wheels’, I already have my board locked into it and ready to be rolled out. Yes, it is that easy to use. Click for full story here! Grind TV's Jon Perino did a product review of SUP Wheels. 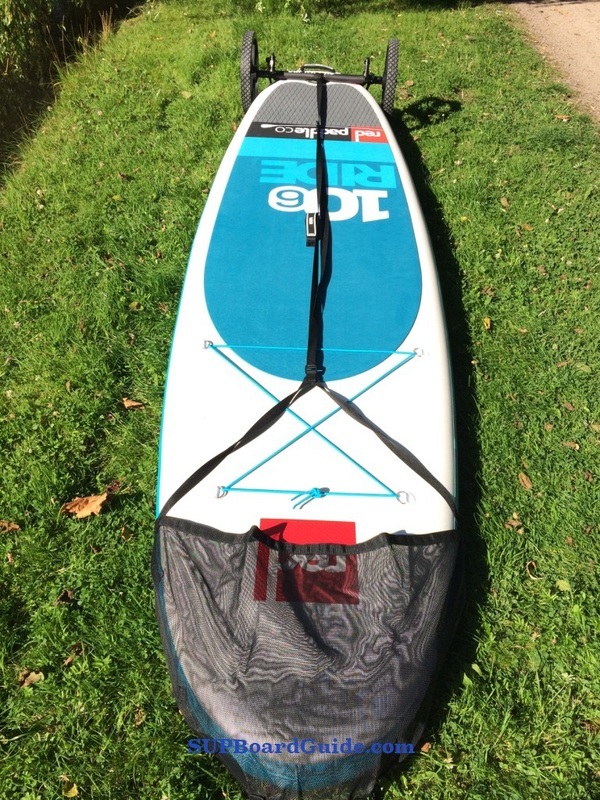 We are very happy to say that they loved the product and found it to be very helpful to carry there paddle board and gear to the water. Grind TV is a media and news company with over 625,000 fans on their Facebook page. SUP Wheels is an manufacture of the SUP Wheels Evolution and Classic products. You are now on our new and improved web site. Please help us as we continue to work on it. If you have any suggestions and corrections please let us know. By subscribing to our mailing list, you will always be updated with the latest SUP Carrier news.